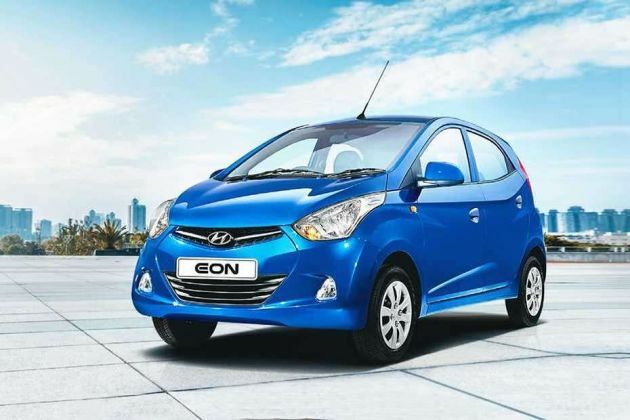 Hyundai has a strong position in the Indian market, and the company has won over the trust of the nation's car base only with models like Eon. This is a city car that was released in 2011, and one of the variants available is the Hyundai Eon D Lite Plus . For this variant, there are a moderate list of features. Starting off with the exterior format, it has a compact build that is graceful and streamlined. The stylish headlamp clusters and the wheel rims are underlining elements of its trendy design. There are clear lamps at the front and the rear as well, giving a better road visibility and safety for the driver. Beside this, the company is offering the vehicle in a range of attractive color options from polar white to pristine blue. Coming to the interior design, a two tone color combination enriches the cabin environment. The design of the steering wheel, front panel, door handles and other cabin areas are all polished and add to the interior ambience. Safety is also affirmed with the presence of airbags, seatbelts and other functions. As for the engine and performance, this variant is powered by a 0.8-litre petrol engine that displaces 814cc. A 5 speed manual transmission channels the engine's capacity into flawless performance. At the front, the chrome tip radiator grille makes for a bold design statement. On either side of this, there are stylishly designed clear headlamps that promote visibility when driving. At the bottom of the front section, the wide air intake vent provides cooling to the engine and also boosts the car's frontal appearance. The hood is wide and masculine, with subtle lines that add to the visual delight. Coming to the side facet, the delicately designed fenders, along with the stylish wheel rims make for a good look. There is a hub cap to go along with the wheels. The body has sleek curves that stretch from the front portion to the rear, giving an enhanced visual appeal. The door handles are neatly designed, integrating into the overall image well. There are slim clear tail lamps that look good, and at the same time, work to improve safety for the vehicle. The integrated spoiler at the rear gives adds to the car's sporty image. Its exterior build also reflects harmony, with an overall length of 3495mm, a width of 1550mm and a height of 1500mm. Its wheelbase is 2380mm, enabling a spacious occupation for the passengers within. The interiors space is detailed with a two tone beige and brown colour combination, making for a fine drive atmosphere for the occupants. Beside this, the B and C pillar trims are added attraction to the cabin. The bucket type single unit front seats allow for a comfortable experience for the occupants. The rear seat comes with a bench folding facility, granting added space for the needs of the passengers. There is a deluxe floor console to further improve the interior appeal. The dashboard is cleverly designed, and it is also present with a storage function for the benefit of the occupants. Exclusive pedestal space is also present, adding to the convenience of the passengers. A cup holder is also present, allowing occupants to store beverages within the car in a strain free manner. There are three assist grips for the benefit of the occupants, providing support and relief during high speeds. The driver gets the benefit of a 2 spoke steering wheel that comes with a metallic finish. The car is armed with a 0.8-litre iRDE petrol engine that has a displacement capacit of 814cc. The drive-train consists of 3 cylinders and 9 valves incorporated through the SOHC configuration. It is also integrated with multipoint fuel injection technology for improved fuel efficiency. In addition to this, it has a power output of 55bhp at 5500rpm, along with a torque of 75Nm at 4000rpm. The engine is coupled with a 5 speed manual transmission that allows for smooth shifting of gears. For the braking needs of the vehicle, there are discs at the front wheels and drums brakes fitted at the rear, enabling a good control throughout. Coming to the suspension arrangement, the front axle is armed with a McPherson strut while the rear is rigged with a torsion beam axle for improved handling stability. A motor driven electric power steering blends safety with comfort and relieves stress for the driver. This variant lacks the comfort and convenience elements that some of the top end versions have. However, it has a dual tripmeter, giving the driver reliable information relating to the drive. A low fuel warning is an added boon, ensuring that the fuel status is given appropriate attention. Further assisting this function is a graphic band fuel gauge. For added ease of working, there is a gear shift indicator that relieves stress for the driver. A remote fuel lid opener along with a remote tailgate opener facility is an asset of convenience. A rear seat belt knuckle holder aids in enforcing safety. An air conditioner comes as a standard feature for this variant that helps to keep the drive atmosphere pleasant always. A highlight of this car is its reinforced body structure, which provides shielding for the occupants in times of mishap and reduces hazard. Seatbelts are present at the front and rear, keeping the occupants secure through the drive. Child safety rear door locks are also present, giving improved protection in the presence of children. In addition to this, an inside rear view mirror provides the passengers with view of the vehicles at rear. Powerful headlamps keep the road in good visibility for added drive security. Lastly, an engine immobilizer affirms the safety of the car as well, preventing theft and other unwanted hazards. There are indicators for low fuel and gear shifting, reducing risks during the drive. 1. Its fuel economy is quite decent. 2. Its compact body format is a boon. 1. This variant lacks important comfort and safety features. 2. Its performance could be improved.